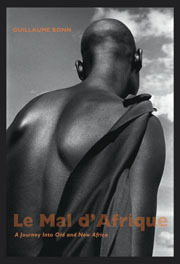 “The disease of Africa”  so this book’s French title translates into English. Photojournalist Guillaume Bonn was the third generation of his family to be born in Madagascar and has lived most of his life in Kenya. In light of this privileged position a title such as this becomes more justified … or does it?